Dr. Littman graduated from the Georgetown University School of Medicine in 1977. Following a one-year internship in Internal Medicine and General Surgery, he began a three-year residency in Obstetrics & Gynecology, all at the Brown University Program in Medicine. In 1983, Dr. Littman completed a two-year fellowship in Reproductive Endocrinology at the National Institutes of Health. From 1983 until 1987, he was on the full-time teaching faculty of the George Washington University School of Medicine. Since 1987, he has been in private practice in Rockville, MD, while continuing as a Clinical Professor of Obstetrics & Gynecology at George Washington University. Dr. Littman is board certified in both Obstetrics & Gynecology and Reproductive Endocrinology. He is currently listed as a "Top Doctor in Infertility" in both Washingtonian Magazine and Washington Consumer Checkbook and as a "Top Reproductive Endocrinologist" in the Baltimore/Washington region by U.S. News & World Reports/Castle Connolly. He has also been designated as one of "America’s Top Obstetricians & Gynecologists" by the Consumers’ Research Council of America and was awarded the Dr. Henry and Page Laughlin Distinguished Faculty Member Award by MedChi, the Maryland state medical society. In addition to a textbook chapter on endometriosis, Dr. Littman has published several award-winning research studies on the use of fertility medications. 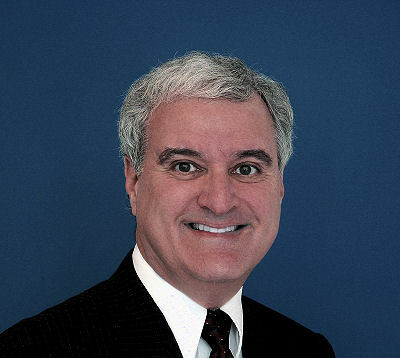 He has served on committees that oversee NIH-sponsored research and reviews prospective articles for publication in Fertility and Sterility, the medical journal of the American Society of Reproductive Medicine and Obstetrics and Gynecology, the medical journal of the American College of Obstetrics and Gynecology. In addition, he has written extensively about the impact of state and federal health insurance legislation on consumers and physicians. For this work, he was separately recognized with Distinguished Authorship Awards by both the Montgomery County Medical Society and by MedChi. Dr. Littman is a fellow of the American College of Obstetrics and Gynecology and a member of the American Society for Reproductive Medicine, and the Society for Reproductive Endocrinology. He is a past-president of the Montgomery County Medical Society and a current member of the Executive Board of the Montgomery County Medical Society. Dr. Littman has admitting privileges at Shady Grove Adventist Hospital. In vitro fertilization (IVF) is performed in collaboration with the embryology laboratory at the George Washington University.